Once again the book opens with one of Rebecca’s journal entries. I was prepared this time and did not freak out. Then we continue exactly where “If I Were You” ended. I swear I almost had an anxiety attack with Sara as she deals with the darkness we had left her in. Once out she gets a call from Chris and one of my favorite conversations in this book ensues. Jones, Lisa Renee. 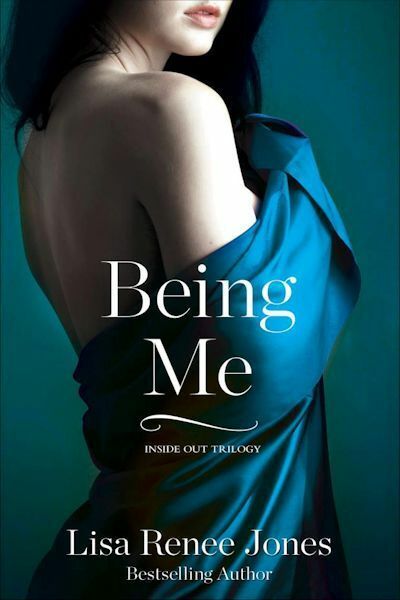 Being Me (Inside Out Series Book 2) (pp. 7-8). Gallery Books. Kindle Edition. This leads us into more complications and revelations that will keep you on the edge of your seat. The animosity between Mark and Chris, Sara’s insistence on being her own person and the realization that Ella may be missing as well keeps the tension high. We discover the darkest secrets of Chris and Sara in this book. I was pleasantly surprised by the outcome of all of this and love that Chris hires Walker Security to protect Sara and investigate Rebecca’s disappearance. Fellow readers will recognize this company from Lisa’s Tall, Dark, and Deadly series. Where is Rebecca? Where is Ella? Can Sara and Chris make their relationship work? Some answers are revealed others not yet. I still don’t have adequate words for all the feelings that ran through me as I read this book. I laughed, I cried, I panted and held my breath. Yet another suspenseful, steamy, gripping novel.